So, you did it! You found the man of your dreams and now it is time to make arrangements for the ceremony of the century. The first big choice you have to make is where to have it. If you are a hybrid hyphenated bi-cultural American as most of us are, then you’re choosing between the US and Greece. 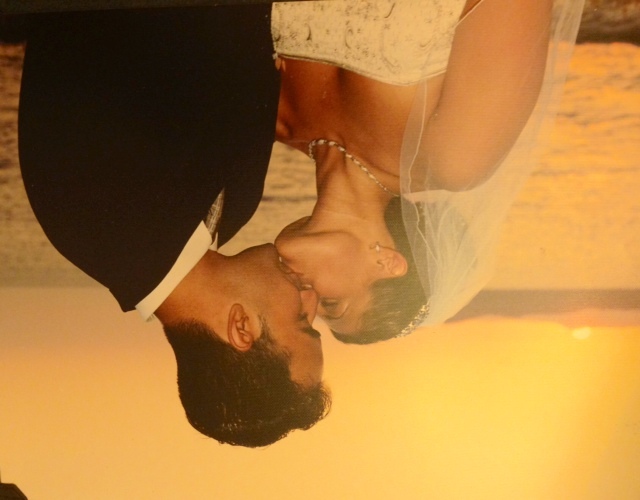 Although the choice was not even an option for first generation Greek-Americans, for some of us in the third and fourth, having your wedding in Greece is not just magical and beautiful but makes a statement about our identity. 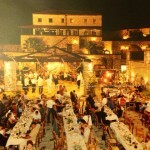 As a result, having a Greek wedding, especially on one of the islands, has increased in popularity. 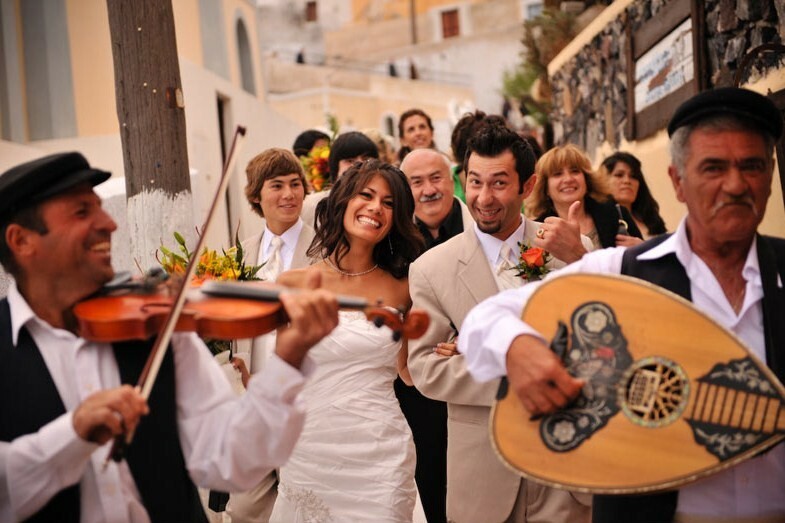 Not to mention, a steady stream of non-Greeks have successfully had their weddings on the Greek islands ever since the Broadway revival of “Mama Mia.” In that show, the climax of the story happens as the mother gets married on the beach on the island of Hydra. 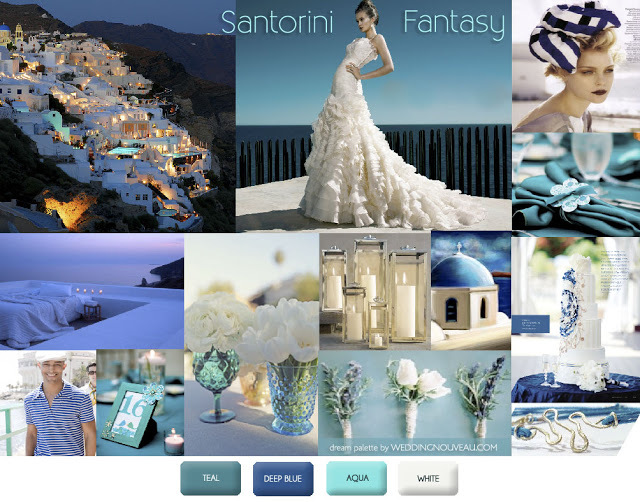 In this in-depth feature at greekamericangirl.com which will be published in a series of four parts, we explore the pros and cons, profile some brides who have had a Greek wedding, get advice on style, etiquette and doing it right from a well-known wedding planner from Santorini, and survey some of the sites and options for the ceremony across more than one island and some mainland venues. 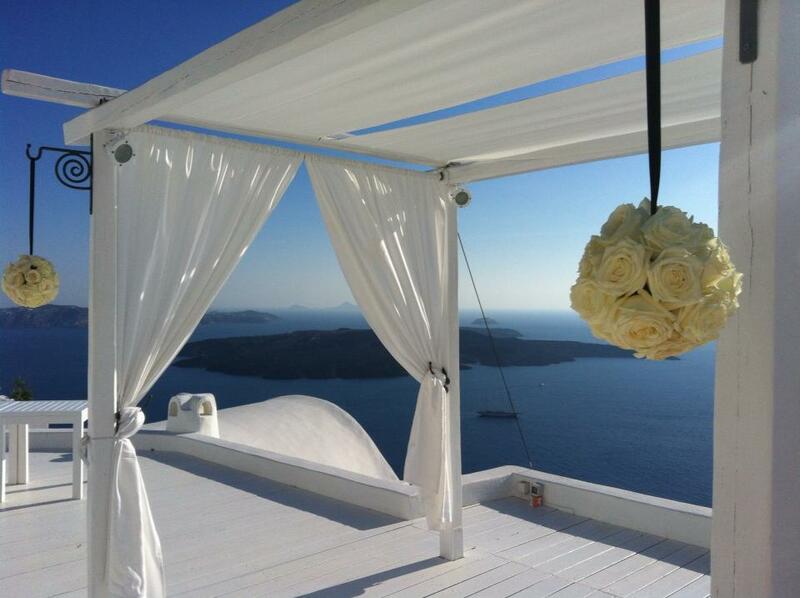 The scenic beauty of Greece as a backdrop to your ceremony is unparalleled. Unless you are fortunate enough to live close to the coast in California, Hawaii, and certain parts of Florida, where in the US can you find the intense blue, the clarity of the sun, the mythical sunsets streaming in lavender, rose gold, and orange, while the turquoise waters tickle your feet on pebbly sands? The white-domed church stark against the bluest blue with a warm sea breeze pulling through your curls? 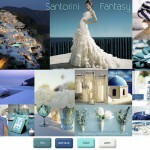 The islands of Greece, as well as the mainland, remain an ideal setting for organizing a wedding. If you have any doubts about this, then look at the wedding photos of all the couples who have had their weddings in Greece as a reminder. This is a huge advantage because chances are your wedding and reception would be held in a stuffy hall or hotel in the US whereas in Greece it would be outdoors in a natural setting, and if you plan it for the summer, with the slimmest chance of rain. It is not unusual to have couples tie the knot under an olive tree or on the beach or overlooking the panorama of wide blue sea shimmering under the golden sun with dolphins doing somersaults in the distance. 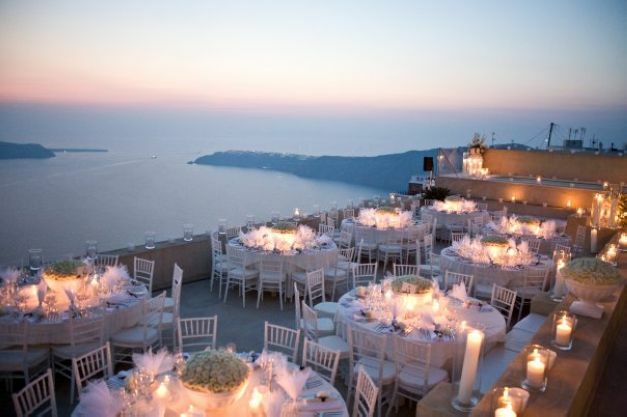 For those who have many relatives living in Greece (chances are your clan members in Greece outnumber those who live in the US), arranging a wedding in Greece makes it convenient and acts as a bonding experience for those relatives who might be twice or thrice removed. 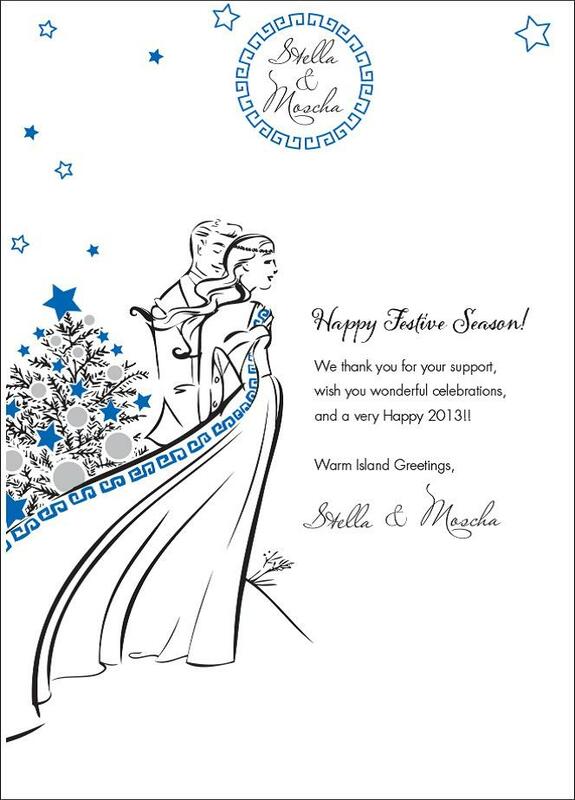 Weddings in Greece are communal affairs. It is not uncommon to have the entire village crash the wedding if it is held on an island. 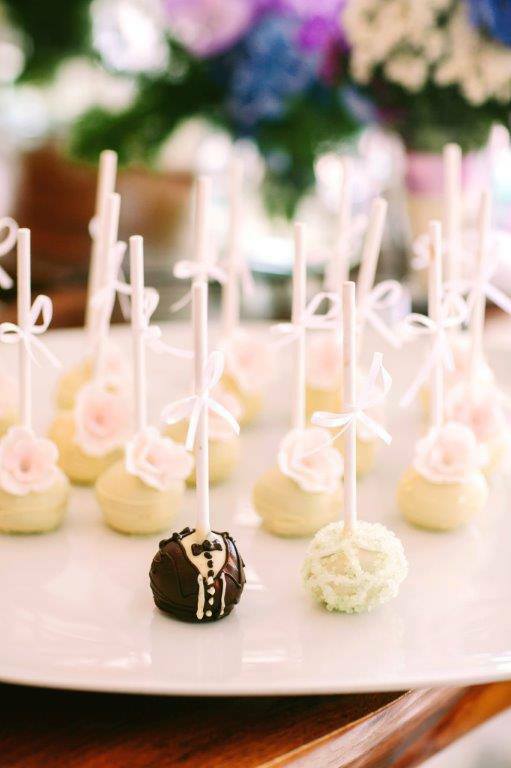 In fact, a wedding is an excuse to have a party for all. This makes the event more festive. 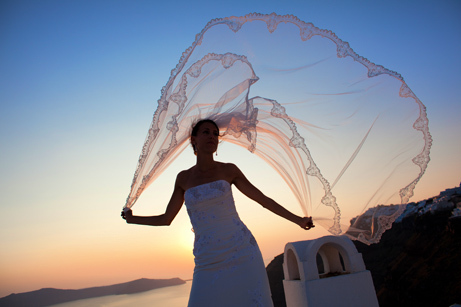 Additionally, traditional village weddings in Greece last for two to three days. 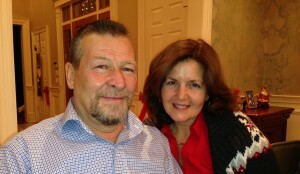 There is no deadline or cut off times as the party lasts into the wee hours of the night. Compare this to the strict rules of a Westchester Country Club whose policy is that all functions cease at 11 am. Imagine the disappointment of one Greek American bride who tried to bribe the maître d to allow the party to go on at least until midnight to no avail. This is unheard of in Greece where most parties start after midnight. Having your wedding in Greece makes a statement about your identity. It is a way to reconnect to your roots and symbolically tie the knot full circle in the place of your ancestry. If you have not made that connection to the land yet, doing so on this very momentous event in your life is significant. Of course, it depends on how you feel about your ancestry. 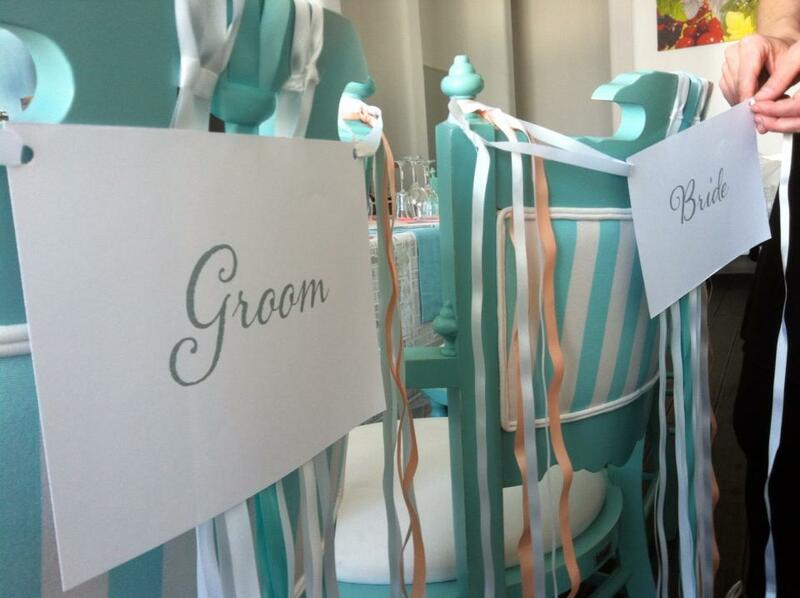 If you are very Americanized, then having a wedding in Greece lacks the symbolic overtones. Even so, as a true American, Greece as a destination wedding would still top most people’s lists as unique. Not counting the price for airline tickets for each member of the party, the cost of having a Greek wedding in Greece is considerably less than what one would pay for in the States (depending on how classy you wanted your reception). 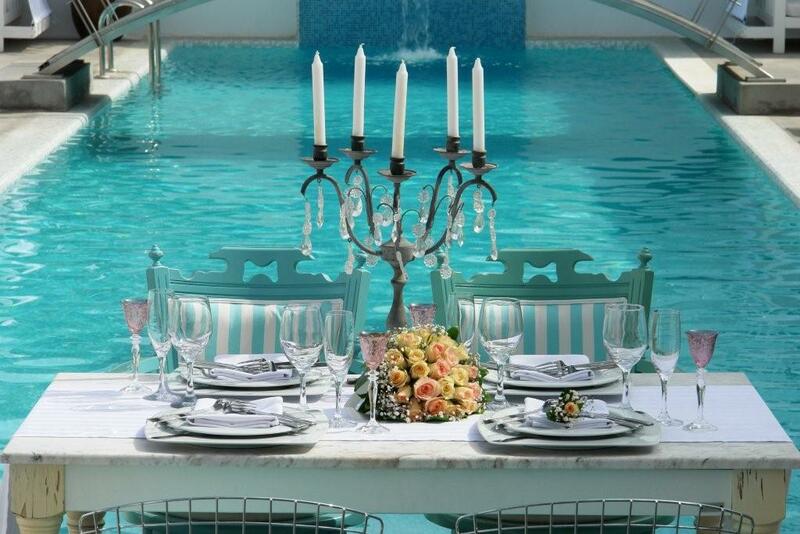 It is not unheard of for some weddings Stateside to average from $30-$100K. In Greece, you can get a beautiful hotel, flowers, photography, music services, food with service for about half that price depending on the luxury standard. All in all, when comparing weddings with the same star rating in the two places, having a wedding in Greece gets you more for your buck. (More on this in Part 3 where we preview different venues and comparison shop). That’s not to say, that having a wedding in Greece is a piece of wedding cake. There are differences in culture, procedure, and paperwork. While it might be possible to arrange for a ceremony from start to finish in five month’s time Stateside, that would be a fiasco if you are planning a Greek destination wedding. The average time it takes to iron out the details, make bookings, and all the rest of the planning to-dos in a typical wedding is one year. Not for a wedding in Greece. 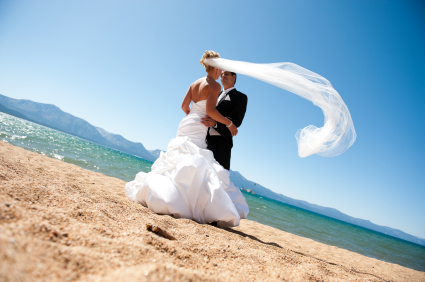 Typically, to have a successful destination wedding, the couple should prepare two years in advance. 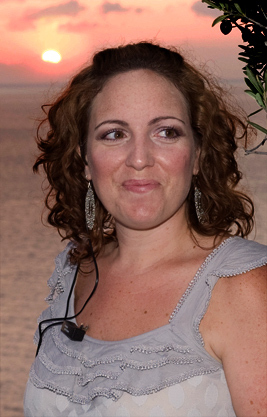 Dimitra Tzortzatos, a Greek-American attorney who decided to have her wedding in Greece, stresses due diligence and careful preparation as key to a successful Greek wedding. According to her experience, she cited that planning a wedding in Greece is made more difficult because it is not as easy to find vendors in Greece as it is here in U.S. “You need to be in Greece at least 6 months prior to the date to book the church and venue,” she states. “ Then you have to find a reputable florist, band, DJ, photographer.” All this planning is made more time-consuming and involved because in a sense you are dealing with customs and protocols of a foreign country. (Even if you make frequent trips to Greece or spend your annual vacations there, Greece is not the same when you are trying to conduct business there.) She also points out that the Greek culture is not customer service oriented and most vendors will not go out of their way to accommodate you. As she states, “If you are planning a summer wedding, try to book vendors at least a year before as Greeks’ priority is their own vacation.” There was also the issue of trust and worrying about whether or not they would actually show up. Dimitra advises contracting the services of a wedding planner based in Greece to handle these planning details or at least hire one to manage the wedding day and keep the program moving smoothly without you, the anxiety-ridden bride already, having to become more anxious over the nerve-shattering details of why the DJ is not playing the proper theme music, or why the ice cream is runny, and why Theia Katina is not sitting next to her son causing her to get into a hysterical fit about the “prosboli” the insult to the family and the lack of “philotimo” for family. Greece is a highly bureaucratic country. While arranging for paperwork is not a big deal as most wedding packages include processing fees for all licenses, the need to complete extra steps in the paperwork process is, nevertheless, another detail that needs attending. For the most part, it takes several weeks, if not months, before the required paperwork can be processed and a marriage certificate issued in Greece. If both bride and groom are Americans, the easier route would be to file for a marriage license in his/her own state(as long as the certificate does not state it is valid only in that state or county) and then have it stamped at the American embassy/consulate with an Apostille certification before the ceremony. Otherwise, there would be a lot of legwork in Greece for the license. Obtaining a marriage license in Greece generally involves submitting official identity documents (passport, birth certificate, any official documents attesting to the termination of a previous marriage) in duplicate for both bride and groom AND having OFFICIAL TRANSLATIONS done in Greek by a licensed lawyer, translator, or Consulate. Then, to show to the Greek authorities that there is no impediment in the marriage legally, two steps are required: 1) having an official Certificate of No Impediment in both English and Greek signed under oath by the American citizen bride or groom before a Consular Officer in Athens or Thessaloniki (or Embassy) and 2) having notices posted in the Greek newspapers about their intended union with copies of the newspaper. And that’s just the first part, to apply for a marriage license. The second half of the process is to register the marriage once it is completed. Depending on whether it is a civil ceremony or a religious (with differing details depending on the religious jurisdiction), the presiding authority is charged with submitting the signed marriage certificates for filing in the National Registry office and the Bureau of Vital Statistics. Because the process is long and laden with many paper trails, it is best to do research and contact your local Greek consulate if residing Stateside about the details of your particular ceremony. As general information, you can check with the American Embassy in Athens page http://athens.usembassy.gov/marriage.html. One way to get over this hurdle, if you are intent on having your way, is to think of it as a pre-planned vacation with a function attached. If you inform your guests, two years in advance, you can reason with them, “Hey, we are getting married on the island of Mykonos during the summer of 2015. We would appreciate your presence. Keep your calendars open for that June.” You can present your wedding plans in the form of a vacation package for your guests, including brochures of the hotel or ceremony venue, prices for accommodation, and info of the destination. If you work early enough and have guests commit for a certain time in the future, you might be able to save money on air fare by getting a group discount with a travel agency or airline. Some airlines even offer discounts for individuals attending a ceremony such as a wedding. So, where do you have it—Stateside or Greece? Ultimately, each couple must decide for themselves based on their unique needs, preferences, and circumstances. 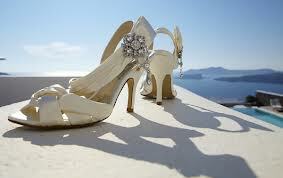 All told, most of the brides surveyed would opt to have their weddings in Greece. 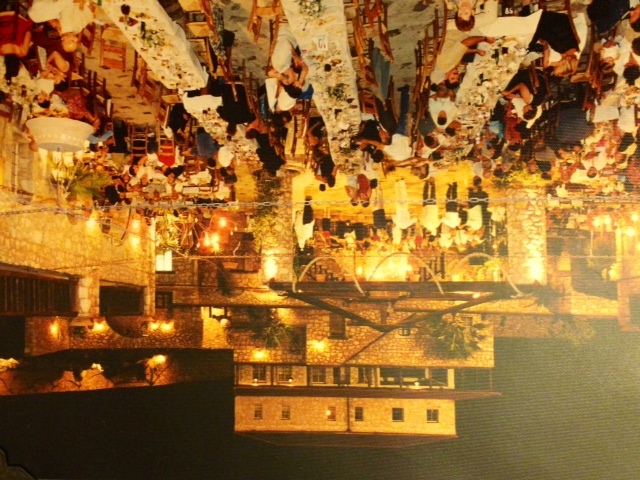 Having a wedding in Greece is a dream come true for both Greek-Americans and non-Greeks alike. Realizing the dream takes a bit of creative problem-solving, flexibility, and plenty plenty of prep time. 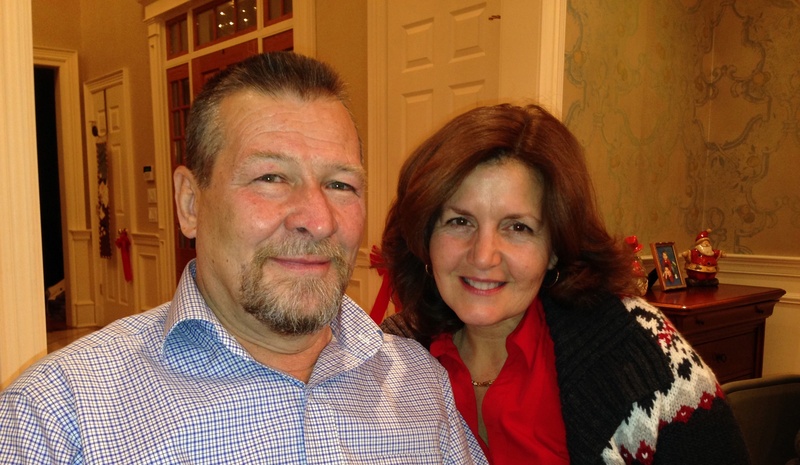 For insights into the love and marriage, we interviewed Linda Katsiotis, an Italian-American married to a Greek for over 32 years. Linda has written about her marriage to Nick and Greek culture in her memoir Nifi, which we will be reviewing for a future post. Her candid statements give an insider look into the workings of a successful relationship and serve as an inspiration for all of us who have made Greek the love of their life. Describe your background cultural and professional. I’ve lived on Long Island all of my life. My father was Italian from the old country–the Bronx. Both of his parents were born in Italy. 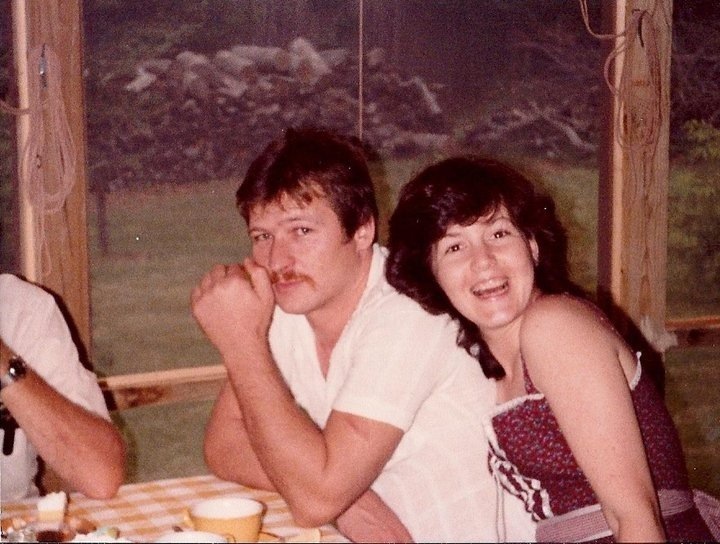 My mother was French Canadian. 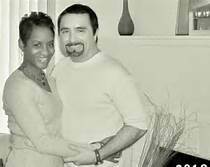 They met in NYC in the 50s, married and settled on Long Island. There was not a strong cultural background. My grandparents came from a time when it was extremely negative to be an immigrant so they didn’t speak Italian to their children. My mother’s family was far away so we rarely saw them. People did not travel back then, the way they do now. So, our family had nothing “ethnic” that I can think of, though I can curse in French and Italian. I have two sisters and three brothers. I had a high school diploma, but was not encouraged to go to college – which was not so unusual in those days. That’s why I went to work in a diner near my house. I went to college when I was married with kids. Nick basically put me through school. I wouldn’t call him Greek-AMERICAN. He was born in Greece. I worked with him at a diner. I was twenty-two. He was twenty-seven. He could barely speak English and he had no intention of staying in the U.S. He was just hanging out, having a good time. He had just jumped ship in NYC. We fell in love. He was/is gorgeous, so handsome! It was purely a physical attraction, but after the first date, I never wanted to be without him. After a few months I asked him, “So, what are you going to do? Are you going to marry me or what, because if you are just having fun, I’m not interested.” He said something like, “okay, I’ll get married.” And that was it. My parents disliked him, especially my mother. He was not what she expected for her daughter. My father was more tolerant because he had grown up in an ethnic community and it was not such a foreign idea. (In my blog I talk about how he always told us we had to marry Italians, which is true, but he was not serious – he was teasing my mother– but I did not realize that because I was a little kid). They did not want me to marry Nick, though and refused to support it. So, Nick and I went to a courthouse and married before the justice of the peace. My parents were very upset and maybe thought he just wanted his papers and hoped he would leave and then I could find some nice American boy. But we were insanely in love. I did not know what a Greek was. I had no preconceived ideas because I was clueless. I thought they were Italian for the first few days that I worked there! There was no resistance. His entire family was in Greece: Parents, 3 sisters, a brother. He just called them one day and told them that he had married and that was it. They hadn’t seen him in many years. He was a poor kid from a very poor area (Eprius). It was not that unusual for the kids to leave and not come back for many years. That was the 70s and 80s and on Long Island the diners were the place to eat—long before all the franchises like Applebees and Houlihans etc. Those did not yet exist. There were so many young Greek men here. Immigration used to come and raid the diner and they’d all run out the back door. Again, the word that comes to mind is “clueless.” We were young and dumb and Nick worked a lot – 7 days a week, 10 hours. He was a little “rougher” with discipline than I was. How did your perceptions of Greek culture change once you became a part of it? Basically, what did you think before and after you became a “Greek”? So, this question to me is more like: Once you became part of the Greek culture, what did you think? Nick had some cousins here that he met after he left the ship in NY, so it’s not like they were close but they were the only ones he had. So we went to baptisms and weddings and events like that. I really felt like an outsider. I wanted very much to be part of them but they all spoke Greek and I could not. I just never really fit in. That was one specific culture–the Greeks in America. But then there was this whole other different culture –The Greeks in Greece in a small village that I would equate to the Appalachian Mountain communities. This was like visiting a different planet. Indescribable! But I’ll shamelessly plug my book here ; ) It basically tells the tale in detail. But I can tell you this: That visit to his village saved our marriage. When I left there, I understood who he was and why he did some of the things he did. What factors made you embrace the culture? What influenced you to become Orthodox if you converted? Nick was adamant about raising the kids in the Greek Orthodox Church. I really liked the Greek culture so it was easy to embrace and I yearned for something as strong as that Greek Orthodox culture was, so I dove in head first. I always celebrate Greek Easter at my house with my extended family when it doesn’t fall on Catholic Easter, I have a big new year’s dinner with the Vasilopita. I can roll out a pita like nobody’s business. My kids were at Sunday school everySunday. I taught it for a few years. They were at Greek School every Friday night. I loved the ethnicity of it all and I wanted them to feel like they belonged. In fact, I was so zealous about it, that my nephew – my brother’s son—who was 100% Italian, came home from kindergarten with his project about his family background and it had an Italian and Greek flag on it. My brother had to explain it to him. I actually didn’t officially convert to Greek Orthodox until about 15 years ago. I just wanted us to all be the same. That is around when Nick got his American citizenship also. What is the best and worst of being Greek? (BE HONEST) In other words, why would it be a good idea for someone who is not Greek to marry someone Greek? I married Nick because of the individual he is. It had nothing to do with his ethnicity. I was so attracted to him but I also loved the things he said. 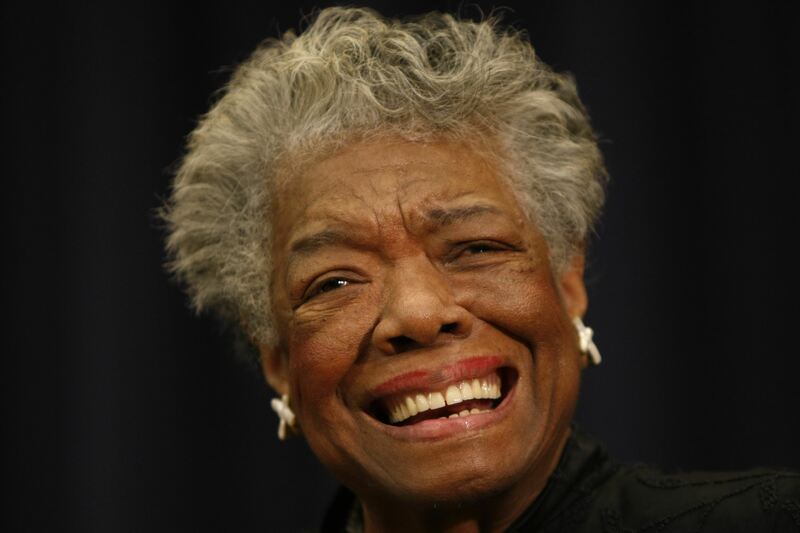 A friend of mine was having cosmetic surgery on her teeth back before we were married and he said, “your husband married you because he loves the person you are, not your teeth. Why are you bothering.” Another time, I said with disgust, “Can you believe my friend is marrying an Iranian!” that was back during the Iranian hostage crisis. And he said, something like a person is an individual. You should judge him on his character not on where he was born. That kind of stuff just bowled me over. It was nothing like any of the American guys I knew. That being said, I love that my Greek last name gives me this instant camaraderie with all other Greeks. They are so protective and instantly accepting of their own. I just love that. When you marry a Greek, you not only get a giant extended family, you get a whole community no matter where you are. You asked for the worst and maybe that would be the way they overpower you and swallow your identity. So far, I have met only one quiet Greek and I know hundreds : ) But honestly, I see that more as endearing than annoying. What influenced your decision to marry a non-Greek, esp. since Greeks are so endogamous? I didn’t think about it. I fell in love and that was it. I was marrying the person. How did you counter resistance, if any, in your family with regards to marrying a non-Greek bride? No one in her family ever bothered me. We did things the way we wanted to and that was it. To Nick and Linda and all the inter-cultural love matches in the world, we wish you all the love for many years of happy marriage to come. Like the site? Get the book! At this point, anyone who considers herself Greek has seen the blockbuster independent flick “My Big Fat Greek Wedding.” The movie finally helped to implant the Greek girls’ experience on the mind of mainstream America. While the film did manage to get positive reviews, loud guffaws and cross-cultural amusement (not to mention $135 million in box-office receipts) at the plight of the female protagonist and her family’s goal to get her married, preferably to a Greek, is this to be taken as the definitive description of a Greek American woman’s experience? There were many facets in the complex lives of Greek American girls that the movie either failed to address or failed to address in a serious manner. 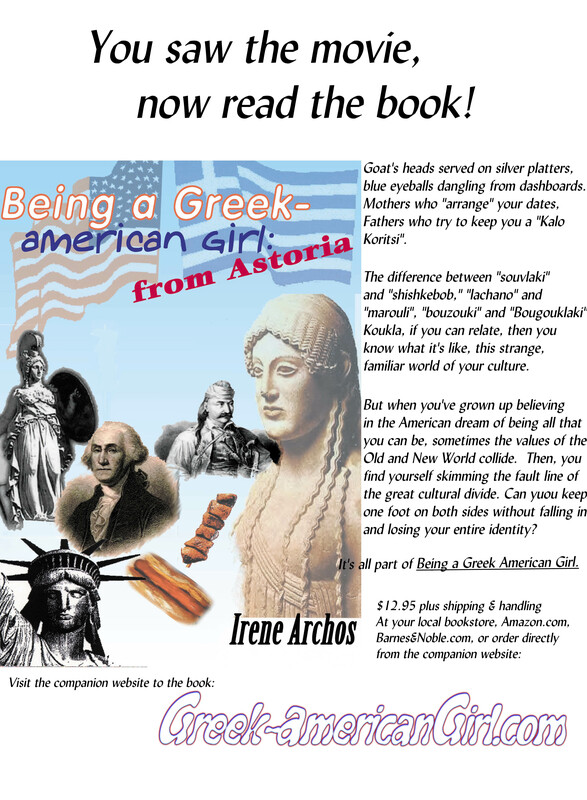 Being a Greek-American Girl by Irene Archos has just been released to pick up where the movie left off. 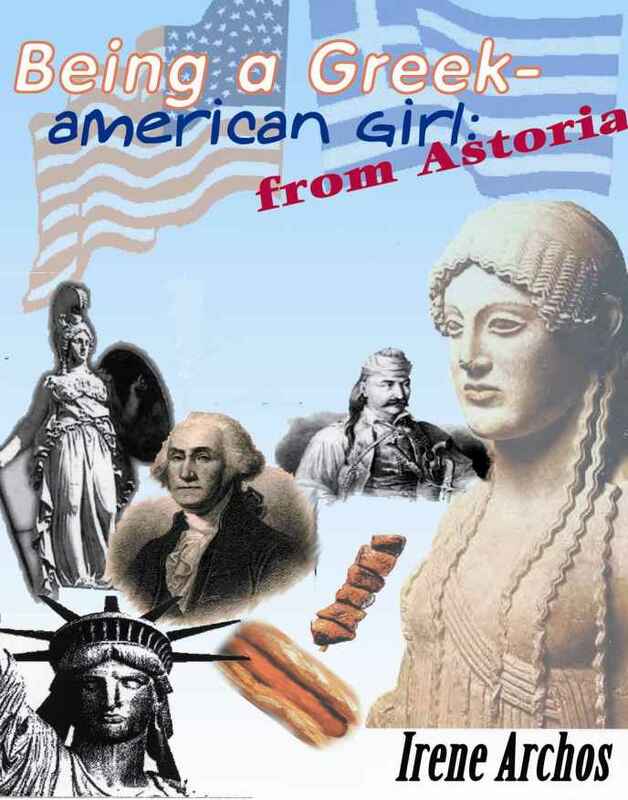 Written by a quintessential Greek-American girl, raised in Astoria, the quintessential Greek-American town, Being a Greek-American Girl explores the complex issues of growing up as a hyphenated American. 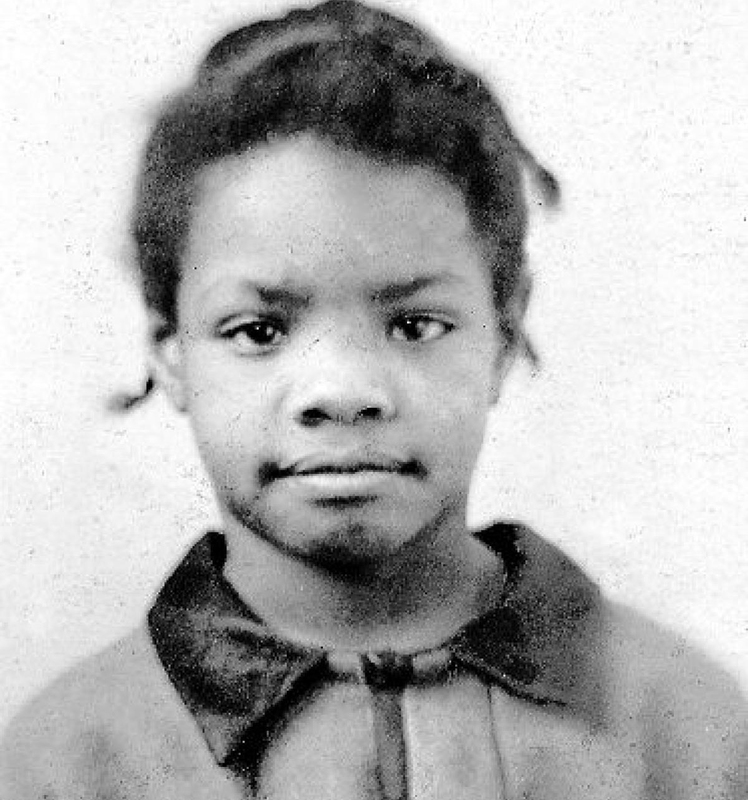 Part-memoir, part-reflective personal essay, the book tries to capture the angst of growing up a girl in a metropolis from a conservative, “Old World” family in America. The frustrations, concerns, and joys represent to a large degree the collective angst of all Greek-American women. The book chronicles the mixed feelings of “Coming To America,” reflects on the parallel reality of growing up in Greece. It sketches caricatures of the major players in the Greek-American family, pokes fun at some of the strange rituals in the culture, and re-views the Old Country under the bifocal lens of multiculturalism. Being a Greek-American Girl describes the tensions brought on by two contrary drives—the drive to mask one’s original ethnicity in order to become successful in the dominant culture and the drive to hold onto one’s culture before it is irrevocably lost. Being a Greek-American Girl delves into the deep roots of identity and attempts to mold an answer to the question—What exactly is a Greek-American? Swaying from the smugly critical to the endearingly embracing, this creative non-fictional account is sure both to amuse and to insult, to give answers and to raise questions, to create controversy and to build community. 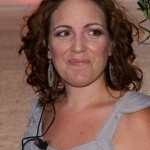 Irene Archos, author of Being a Greek-American Girl, is a freelance author and journalist. She first explored the issues pivotal to the Greek-American experience in a weekly column for the Greek-American daily The National Herald (O Ethnikos Kerykx). “I felt compelled to write this book because I found that only through a full-length book could I talk deeply about the issues critical to me, not only as a Greek American, but as a woman. Much of the Greek media is in the hands of older, staided Greek men who don’t have an interest in the feelings, the concerns, nor in the voices of Greek women.” As stated in the “Preface,” the book came was written as a way to vindicate the existence of Greek Americans as a vital minority, long-overlooked by mainstream America and as a way to establish the voice of a Greek woman as a legitimate literary entity.